Our team of irrigation specialists are educated and experienced with all aspects of the most up-to-date designs in irrigation systems and the installation and function of these water conserving systems to endure optimum water usage for all turf and plant species. Our irrigation specialists are qualified to prevent water waste with detection of irrigation repairs such as mainline breaks, valve replacement, controller wires and back flow preventatives. 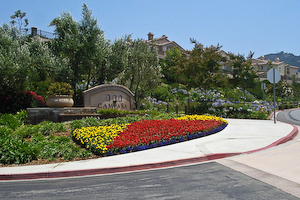 Green Valley Landscape Maintenance has certified irrigation technicians to install and maintain Smart controllers and help clients to apply for rebates and vouchers offered by San Diego Country Water Authority programs. 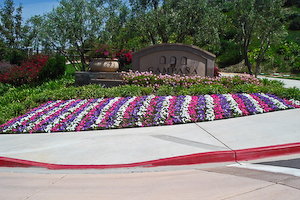 Our Green Valley Landscape customers appreciate the close attention to detail give by our account managers and field supervisors when working with our clients to design and plant annual color replacement, giving your grounds a fresh, vibrant new look to the property. 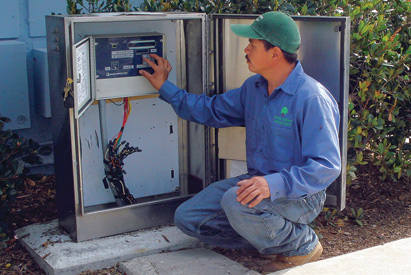 With scheduled, monthly landscape inspections, our account managers work closely with your customers to make the perfect selection for routine plantings throughout your properties. 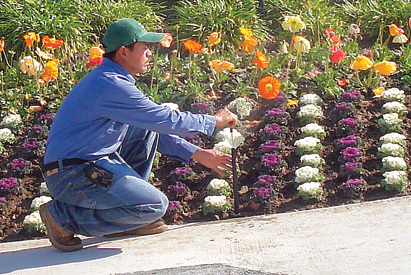 Integrated pest management, or IPM, is a process Green Valley Landscape uses to solve pest problems while minimizing risks to people and the environment in the landscapes. Green Valley Landscape takes actions to keep pests from becoming a problem, such as growing healthy plants that can withstand pest attacks and using disease-resistant plants. Rather than simply eliminating a pest, we look at environmental factors that affect the pest and its ability to thrive. With this information, we can create conditions that are unfavorable for the pest. Monitoring means checking the landscape sites, to identify which pests are present, how many there are, or what damage they’ve caused. Correctly identifying the pest is a key to knowing whether a pest is likely to become a problem and determining the best management strategy. After considering environmental factors, we can decide whether the pest can be tolerated or whether it is a problem that warrants control. If control is needed, this information also helps us select the most effective management methods and the best time to use them. 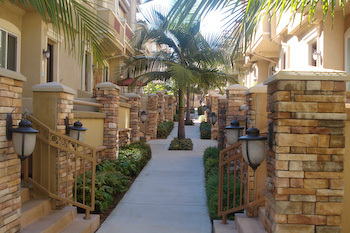 Mechanical and physical controls kill a pest directly or make the environment unsuitable for it. Traps for rodents are examples of mechanical control. 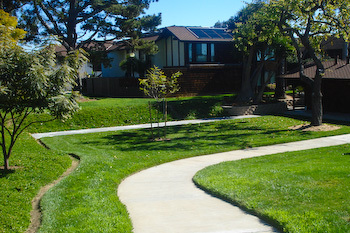 Physical controls include mulches for weed management. Chemical control is the use of pesticides only when needed and in combination with other approaches for more effective, long-term control. Also, pesticides are selected and applied in a way that minimizes their possible harm to people and the environment. GVL will use the most selective pesticide that will do the job and be the safest for other organisms and for air, soil, and water quality; we will spot-spray a few weeds instead of an entire area. Our professional staff is qualified to present you with a plan of action to eliminate insect infestations on your properties, disease and weeds upon request. Our team has QAL and QAC licenses to legally handle pesticides in the landscape. We keep labels and MSDS of all pesticides we use in our office and they are always available to anybody that may have questions or concerns so feel free to call our office for those at (760) 233-7791.